The government has launched an ambitious new strategy to clean up our air - which includes a commitment to support farmers’ efforts to tackle air pollution. Agriculture is responsible for 88% of UK emissions of ammonia gas which can travel long distances, be damaging to the environment, and combine with other pollutants to form fine Particulate Matter pollution, which are harmful to human health. The measures set out in the Clean Air Strategy will help cut the costs of air pollution to society by £1.7 billion every year by 2020, rising to £5.3 billion every year from 2030. “Ammonia emissions can have a significant impact on the environment and on our health, and as custodians of the land, farmers have an important role to play in reducing them. Under the new strategy the Government will provide farmers with support to invest in infrastructure and equipment to reduce emissions and will work with industry to encourage low emission, holistic farming techniques. Funding has been available through the Countryside Productivity Scheme to help farmers purchase manure management equipment including low-emission spreaders and the scheme is due to run again in 2019. Funding is also available through the Countryside Stewardship Scheme for slurry tank and lagoon covers for farmers in priority water catchments. In September 2018 the government launched a new £3 million programme through the Catchment Sensitive Farming (CSF) partnership to fund a team of specialists who work with farmers and landowners in priority areas to provide training events, tailored advice, individual farm visits and support with grant applications. Our Agriculture Bill already sets out how future financial support for the farming sector will be focussed on delivering improvements to the environment. We propose that a future environmental land management system should fund targeted action to protect habitats impacted by ammonia. 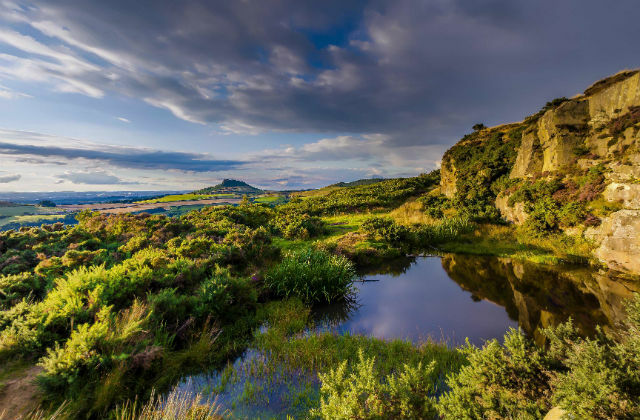 Natural England are already examining options to improve the effectiveness of schemes for mitigating ammonia emissions in protecting these habitats. “Natural England has a team of experts poised to support farmers to take action which will help improve our environment and safeguard our precious natural habitats from the damaging effects of nitrogen pollution. With partners, Natural England will be running a series of farm demonstration events in February and March to show what can be done to reduce ammonia emissions. Free training and advice will be available to help support farmers to, for example, make choices about investment in infrastructure and equipment to reduce emissions.